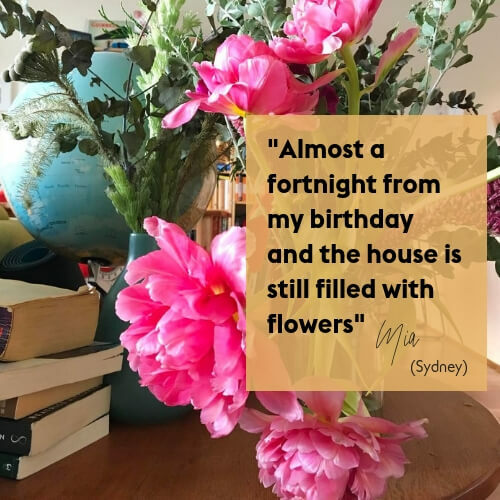 of a home full of flowers! 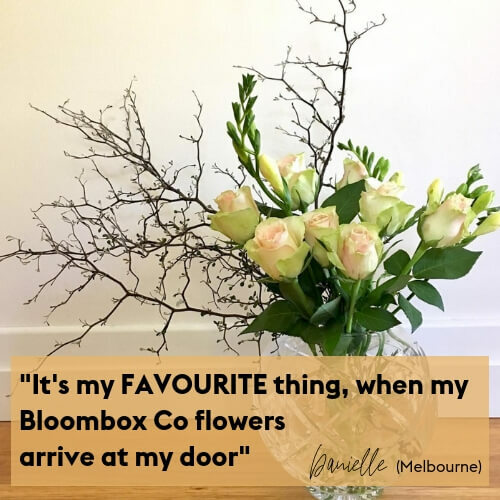 Get a beautiful mix of fresh flowers on subscription, delivered right to your door or desk each week, fortnight or month. 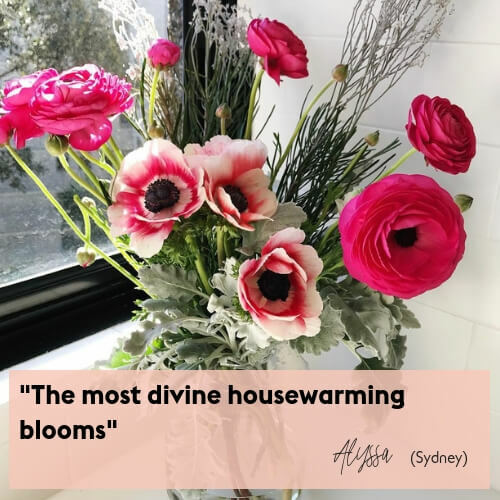 We begin with stylish seasonal flowers from Australian growers. Weekly, fortnightly or monthly – it’s up to you! 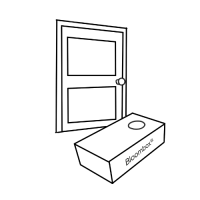 Pause or cancel at any time. Arrange and enjoy! 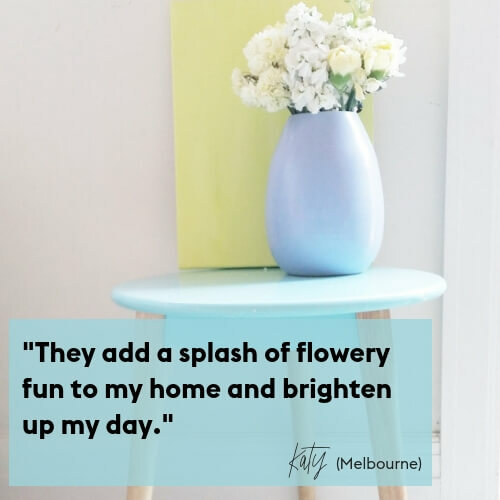 You’ll even receive a styling tips each week for inspiration. 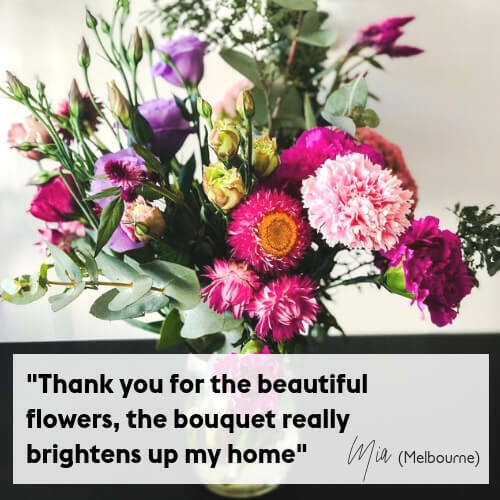 and next day flower deliveries in Melbourne. seasonal mix of fresh flowers delivered every week. 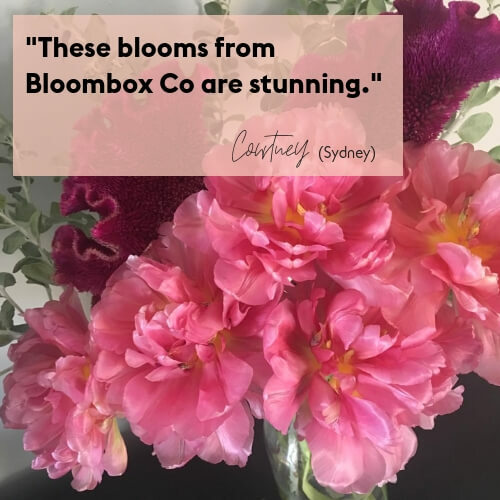 Once you have selected your daily flower delivery, or flower subscription, tell us where to send them at checkout. 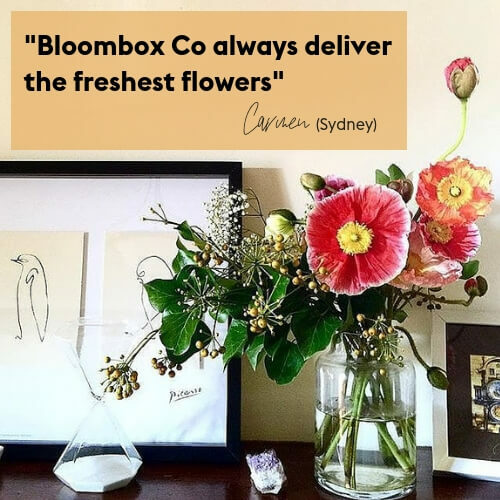 Bloombox Co can deliver to most addresses in Sydney and Melbourne. Simply choose a flower gift and pay securely by credit card and we’ll start preparing your order. 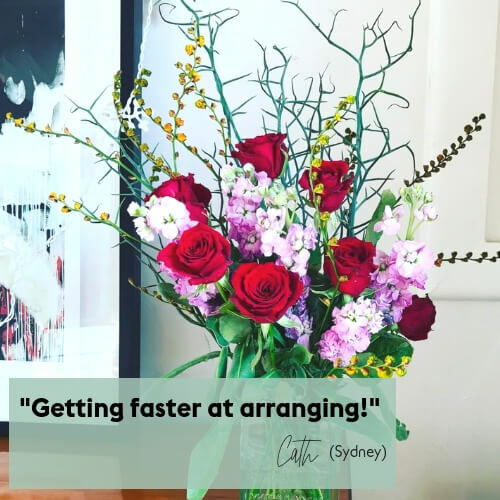 Our flowers are freshly sourced and hand packed each day and delivered to you. Your recipient doesn’t need to be in – our drivers can leave your gift with reception or at their front door, and send you a photo to confirm delivery. You’ll receive special offers and other goodies we don’t make available anywhere else! You can unsubscribe at any time. 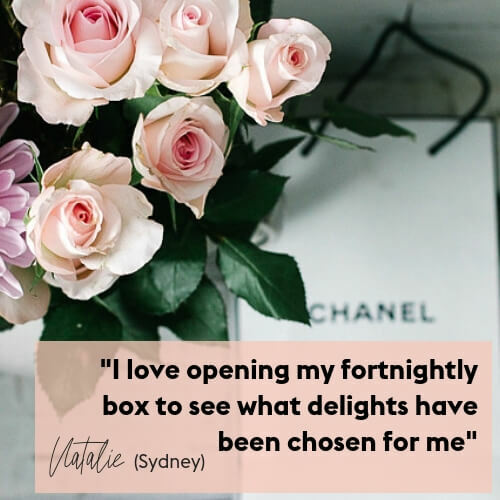 We offer FREE DELIVERY for our flower subscriptions in Sydney and Melbourne! To check whether we deliver to your suburb, pop in your postcode. Hit enter. Hold your breath and wait for the magic! Get $10 bucks to spend on flowers! Sign up here to get it.